Why connect your website to Google Analytics? Google Analytics offers a set of metrics to help you gain insight into your website traffic: how many website visitors you’re getting, where they are located, which browsers they are using, which specific pages they are visiting on your site, and more. This data can be extremely useful in honing your marketing initiatives. All you need to connect your website to Google Analytics is a free Google account, and a Global Site Tag (a snippet of code) which you’ll get from the Google Analytics website. Once you have the code snippet, add it to your website, or ask your web designer/developer to do it for you. 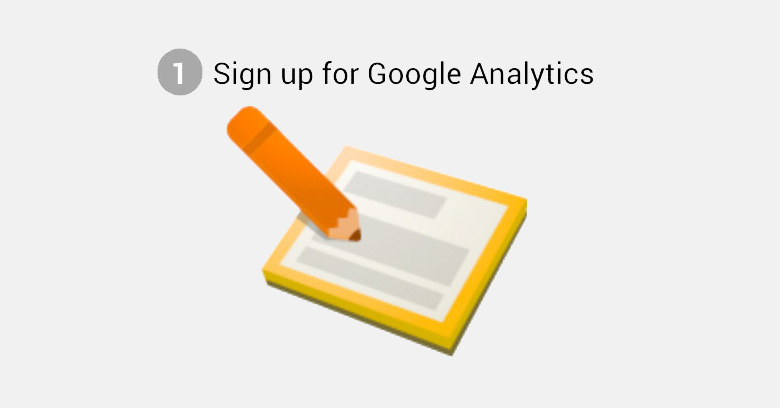 Click on “Sign up for Google Analytics”. Fill out Account Name, Website Name, Website URL, select an industry category and time zone. For Data Sharing Settings, I usually uncheck all except Technical Support, but it is up to you. Click “Get Tracking ID”. Accept the Terms and Conditions. On the next page, you will see your Tracking ID, and below it, the Global Site Tag. Copy the text inside the box and send it to your web designer/developer to insert on your website. For more info, take a look at this article by Google.